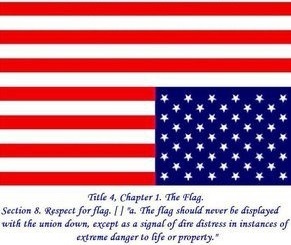 Our republic is now in dire distress. I’m not just being dramatic about my distaste for Trump. This has been a long time coming. America has been in economic decline since we started hitting our resource peaks in the late 70’s but instead of working together as a nation to manage the problems, a class of plutocrats have devised a rhetorical division between Americans in which both sides blame the other for “destroying America” while the plutocrats themselves quietly cannibalize the republic for their private gains. Not all Americans were fooled. For three decades a class of politically educated Americans have held the plutocrats accountable but the plutocracy itself has responded by turning up their influence on less politically educated Americans through a steady stream of misinformation and emotional fever. As a result, enough of our population has become so agitated and delusional over the years that our democracy has literally become toxic. Trump is not only a result of this toxicity, but a symptom of later stages of this national sickness where developments like fascism have now become viable options for a power-hungry executive. Indeed, the current president has been fully engaged in efforts to infect the citizens with enough frenzy to completely disconnected them from the values that our republic was founded on. Many of you will disagree with me, but I urge you to put aside your obsessions with demonized personalities and hateful stereotypes just for a moment and look at some of the boring details that never make it into mainstream media. Boring details like the actual changes in the law and actual rulings of the federal courts. These boring details are the real threat to Americans. So, be a sport and trade in one hour of Sean Hannity’s ranting for one hour of reading actual laws as they are written, or the opinions of the Supreme Court that explains their decisions. Try to understand them, not just whether or not the “other side” lost a battle, but how these decisions will actually impact YOU and your family. For example, the recent Supreme Court ruling that allows companies to force workers to sign arbitration agreements. This 5-4 ruling means that as of now, a worker who signs such an agreement (in order to get the job) can’t take his employer to court for violating labor laws. That means a company CAN violate labor laws and the workers can’t do anything about it. As if that isn’t enough, the ruling also says that workers can no longer leverage collective bargaining in any arbitration case, effectively repealing the National Labor Relations Act that has been protecting workers since 1935. It doesn’t stop there… Congress also just killed a bill to protect consumers from forced arbitration regarding commercial contracts like bank accounts. This one was so questionable that Trump had to send Pence in to break the stalemate on the Senate floor. Arbitration is essentially the privatization of justice. What we need to understand is that the U.S. Constitution doesn’t apply to the private sector. So that means that this privatized justice is literally cutting Americans off from the protection of the U.S. Constitution. Now, to those who have ranted dramatically for years that the Constitution is being “destroyed”, may I remind you that the document hasn’t been touched since the 27th Amendment in 1992. But cutting people off from the protection of the Constitution is actually happening right here, right now. So, let me ask you; how is the effect of cutting people off from the protection of the Constitution any different than destroying it? Privatizing justice is only one example of the extreme behaviour of the current government… NONE of which is normal. I have never felt the situation was dire enough to hang the flag upside down. That is changing now and come this Independence Day, that is what I will be doing.